For the past few weeks, I’ve been semi—okay, completely—obsessed with Pokémon Go. I’m pretty sure the whole world has. 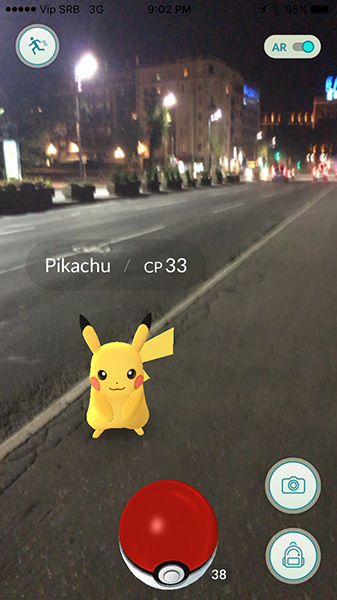 While my Facebook feed kept popping up with everything and anything dealing with this game that has players walk around (while in some cases being robbed or being arrested for trespassing) catching various monsters, battling for prestige at virtual gyms, and picking up new items at PokeStops, I found some articles describing how Pokémon Go has been used for philanthropic purposes. This made me begin to wonder how video gaming can be used for philanthropy. As someone who isn’t an active gamer (i.e., someone who is an active video game player), I was surprised to find so many different opportunities that link gaming with philanthropy. The combination of gaming and philanthropy tends to still be focused in the U.S. and the U.K., but the rise of this type of giving seems to be reaching beyond these countries into the wider world. Gaming can have a beneficial impact on giving, even pushing more people to visit museums and other cultural heritage sites or raising more funding and more awareness. This bizarre meeting of art and gaming is happening partly because these places are freely accessible to all, but also because Pokémon Go draws its points of interest from the Historical Marker Database, which catalogs permanent and outdoor monuments, plaques, and other markers. If you’re a history buff, this means this is a pretty neat, inadvertent tool to discover local heritage — but really, most gamers are walking into museums with the firm intention of amassing Spearows and Zubats (it probably helps that some institutions offer free wifi). It’s not just museums that are getting involved the craze either. Other organizations and charitable campaigns are also using the game to their advantage. Pokémon Go isn’t the only game that can support with philanthropic giving. Many gaming tournaments around the globe have added a philanthropic aspect to their events. This includes raising funds for foundations working with cancer research to international organizations distributing aid in economically distressed countries. For instance, Games Done Quick provides a great combination of gaming and philanthropy. Games Done Quick organizes gaming marathons of up to 1400 individuals involved that are created to raise money for various causes. The organizations that have benefited from the gaming marathons of Games Done Quick include Médecins Sans Frontières (Doctors Without Borders) and the Prevent Cancer Foundation. These marathons have helped raise over 8 million USD for these various charities. Not only is the amount of money they’ve been able to raise for these groups awesome, but they also track all of their information and have it online for you to view. For some more organizations and opportunities like Games Done Quick, you can check out this great list of these groups in an aptly named article for Mashable called “6 worthwhile charities to make gamers feel like heroes” from Anna Washenko. Though combining gaming and philanthropy has yet to become popular in the Balkans, there are still some emerging trends happening. In fact, Catalyst’s Communications and Outreach Manager, Djordje Kolaković, knows people who have used Humble Bundle, a company that has a pretty nifty way of giving to causes. Humble Bundle sells video games using a pay-what-you-want model. You pay whatever amount and you receive a bundle of video games. Of what you pay, Humble Bundle will donate 10% of the net revenue to a charity of your choice, as long as the organization is registered in the U.S. or the U.K. When you go to check out on the website, you’ll have the option to pick a nonprofit through a drop-down menu that part of your payment will go to. If it’s not on the menu, you can also look for it through their search option. So even if gaming and philanthropy aren’t often used together here in the Balkans, it’s still there, and hopefully, this interaction of video games and giving will increase. Just like Pokémon Go burst onto the scene and became part of philanthropic campaigns, gaming, in general, should be considered as a way to cultivate relationships between nonprofit organizations and community members or to support philanthropic action abroad. As discussed in the blog Simple Ways To add Philanthropic Actions to Your Life, philanthropy doesn’t have to be complicated, nor should it. If you’re a gamer, then you can easily make gaming a simple and fun way to give. Have you participated in an event that combined video gaming and philanthropy here in the Balkans? Leave a comment down below!